So we have all experienced it. The rise of the Bling CEO and the $5 Dollar Jewlery Craze. 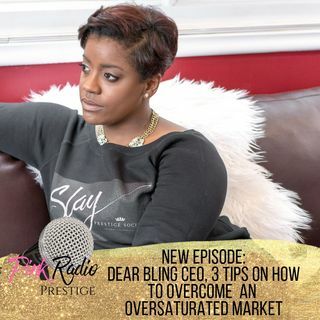 In this NO SHADE episode, I want to share how this craze is something we all need to take into consideration as we all are dealing with the same thing that should be forcing you to truly put on your business hat and that is OVERSATURATION! This episode is for the life coach, business coach, real estate agent, hair stylist, motivational speaker out there. Here are three tips on overcoming an over saturated ... See More market.